Sheffield United will be aiming to record their sixth consecutive win at home in the Championship when they welcome Reading at their Bramall Lane. The Blades did well to beat Middlesbrough in the Championship derby on Wednesday evening, with the team moving a little closer to top two in the standings. Sheffield United managed to keep a clean sheet in each of their previous four home matches in the English second tier and they are likely to rely on their rock-solid defence in Saturday’s football match against Reading. The Royals desperately needed a win against Blackburn Rovers at the weekend and they managed to get one. Reading aim to escape the danger zone in the Championship table, but we do not believe that they are capable of spoiling Sheffield United’s party at Bramall Lane. The Blades defeated the Royals 2-0 at Madejski Stadium in the first half of the season. Simon Moore is an English goalkeeper who plays for Sheffield United in the Championship. Moore began his career at Brading Town and, after playing 49 games in the league for the club, he moved to Farnborough in 2008. However, due to the lack of first-team football, Simon Moore left the club at the end of the season, with the 191-cm-tall shoot-stopper signing a contract with Brentford. The English goalkeeper, who was born in Sandown on May 19, 1990, made his debut for the Bees in May, 2010 against Hartlepool United, coming as a substitute for first-choice goalkeeper Wojciech Szczesny. After ending his loan spell with Basingstoke Town in January 2011, he moved to Cardiff City and it has to be noted that he made 17 appearances for the Welsh outfit. In the summer of 2016 he signed a deal with Sheffield United for a fee of around £500,000 and he did remarkably well to keep 17 clean sheets in the 2016/2017 League One campaign. 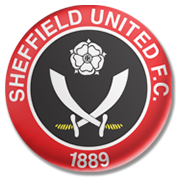 The Blades finished the season in top position in the standings and, no doubt, Simon Moore’s brilliant saves helped the club secure promotion to the English second tier.